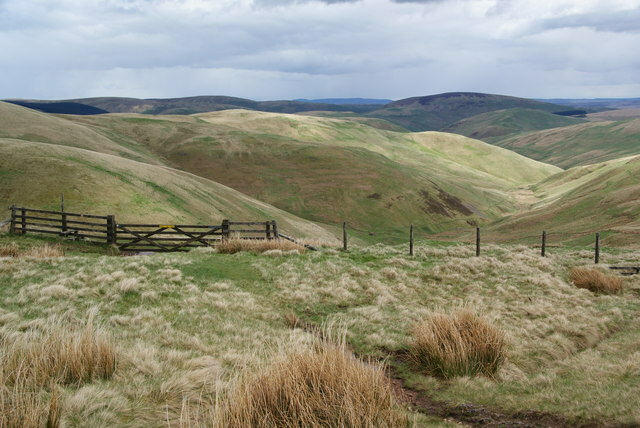 The gate and stile lie on the saddle between Swineside Law and Black Braes along the route of the ancient cross-border track called The Street, once known as The Clattering Path. Just below Swineside Law on the Street. 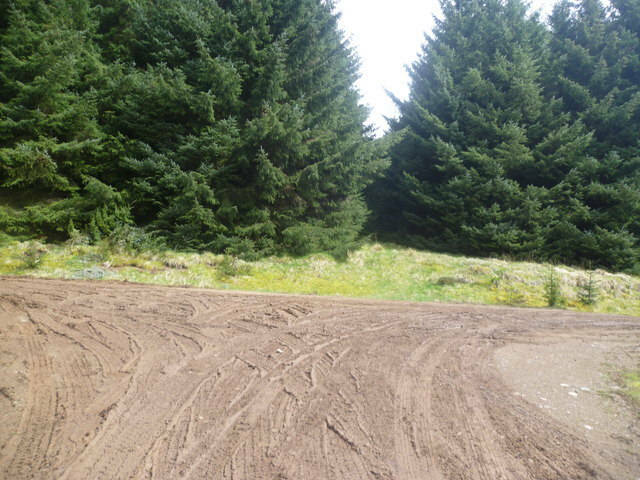 No snow is anticipated in early September! Once a tea room where delicious farmhouse teas and homebaked "goodies" were on offer. 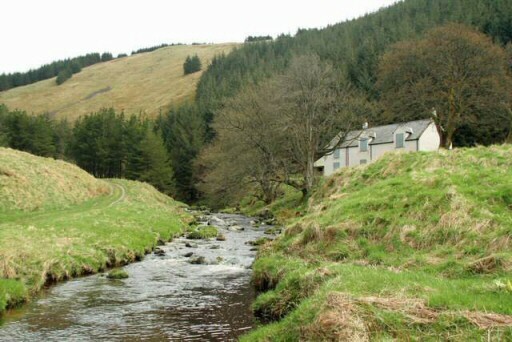 Remote cottage by the Usway Burn. 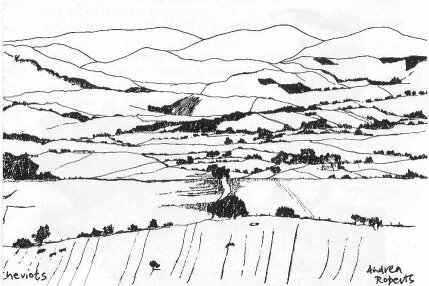 Taken from the top of Pass Peth which in times of old was a lookout point manned by local people to guard against incursions by maraunding bands of Scottish reivers. Be aware! 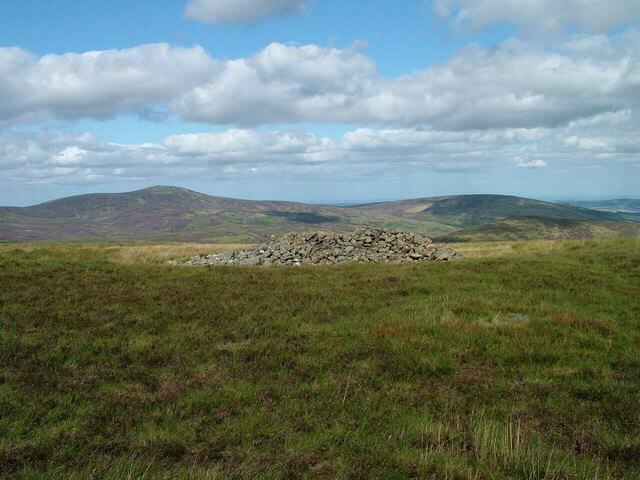 Barrow Law . 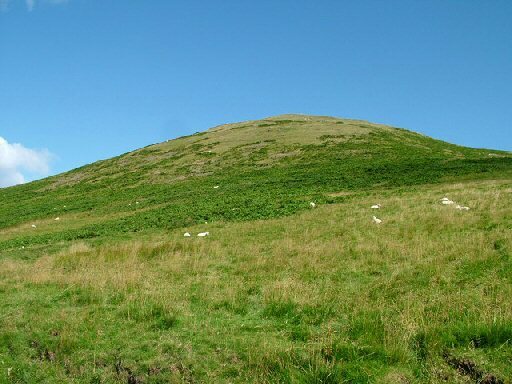 originally a mountain, hillock: a mound raised over graves in former times. 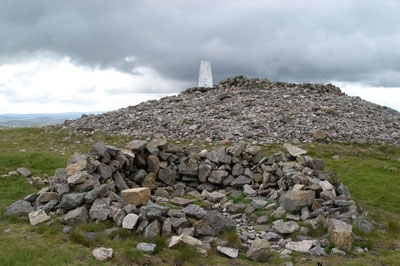 Tumulus:-an artificial hillock or mound (as over a grave); especially : an ancient grave. Cushat Law. 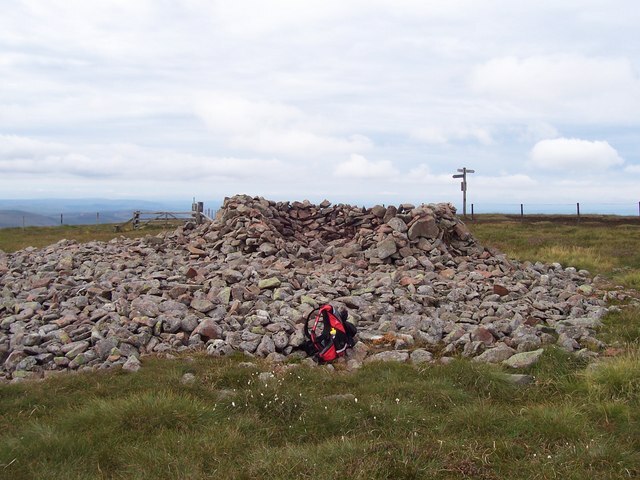 The shelter cairn on the top of Cushat Law. Hedgehope on the skyline! 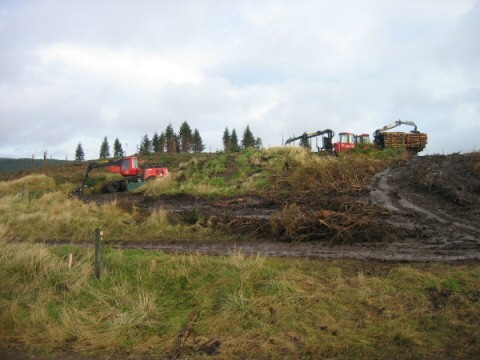 Near Nettlehope Hill there is/has been a lot of deforestation. Clennell Street. An Old drover's road. 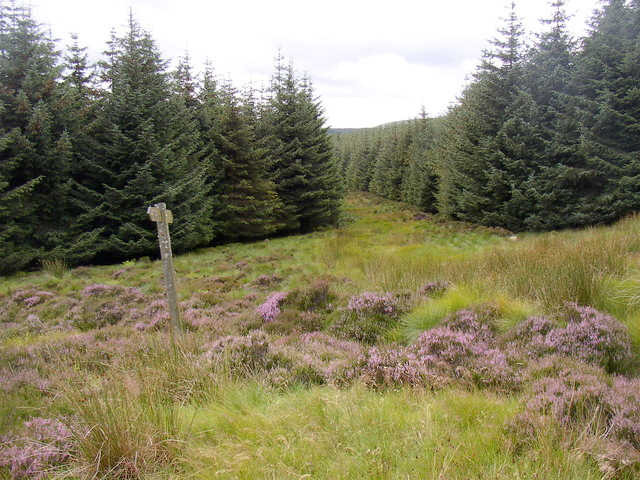 Salters Road, in this image as it goes through Kidland forest, is part of a route believed to have been used by salt traders in the medieval period. 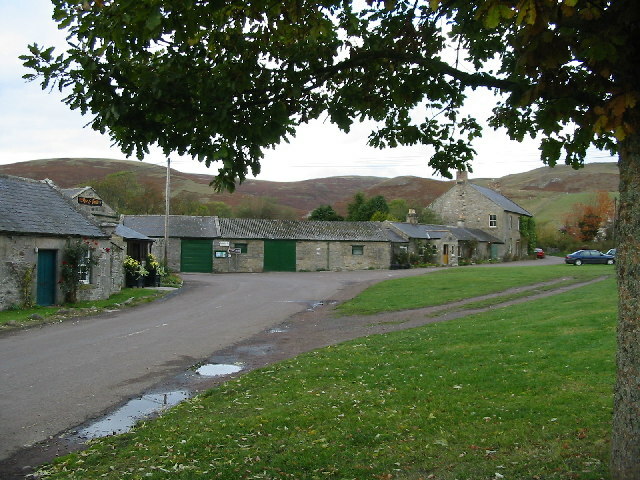 The road went through Rothbury to Alnham, and then onto the junction with Clennel Street where it went North to the Borders. The green and rounded Hazely Law from The Midde. 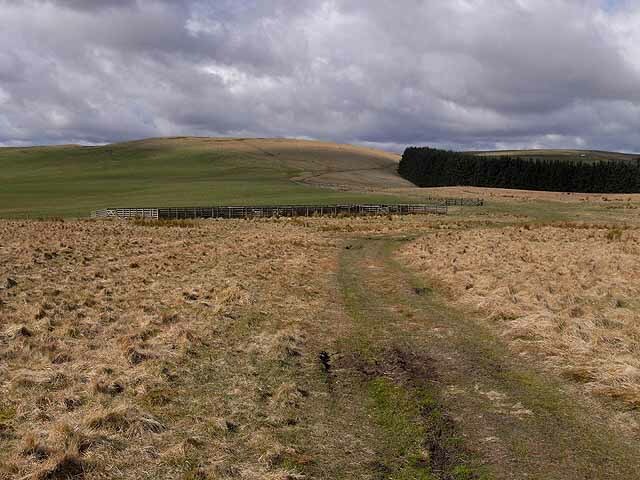 At this point Clennell Street, an old drove road from Alwinton to Yetholm, crosses the main Cheviot watershed. 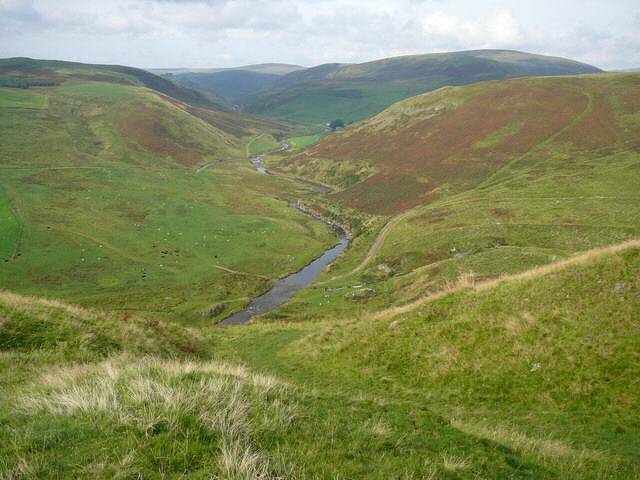 Here it cuts the Pennine Way and the border fence between England and Scotland at right angles. 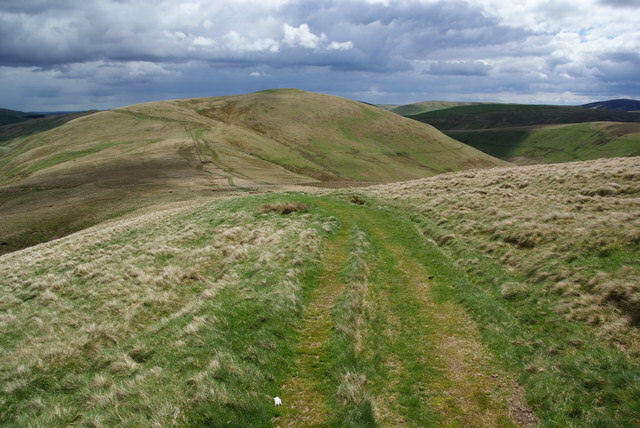 The Pennine Way which runs along the ridge crosses The Street which links England and Scotland. 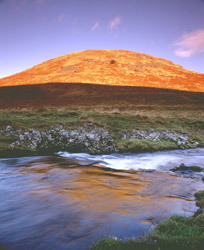 Swinside Law from Black Braes.© Bill Boaden. What is left of Wholehope youth hoste! 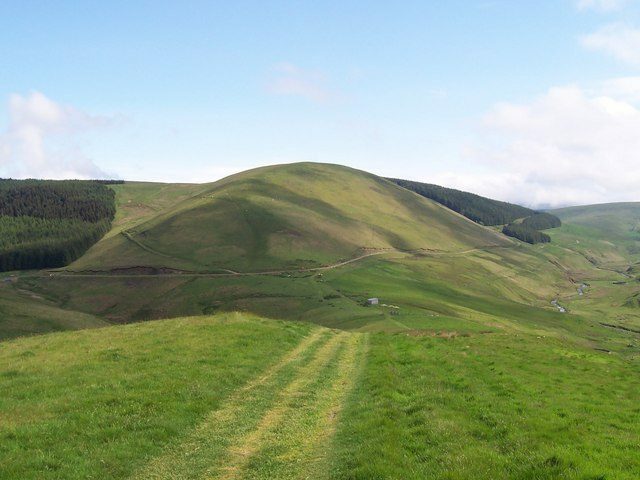 The 2018 Cheviots Challenge details were limited. 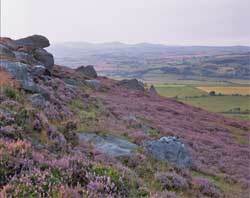 The ethos of the Cheviots Challenge is to give participants a challenge. The initial principle was, and has always been, not to release the exact routes until the day of the event. This is quite unique amongst events such as this and may still be the case. However, the organisers are not that ruthless, so this page contains clues listing some of the places participants may visit. With a little forward planning, participants could work out where each route may go and therefore be in a position to decide which route ( long or short walk ) is better suited to their ability. Before you enter it is a a good idea to read the Terms and Conditions. It is essential that all participants are competent in the use of a map and compass, even in poor visibility. GPS devices may be discouraged. So here could be your choices, not necessarily the route you will take on the day, however it will give you an idea of what to expect. 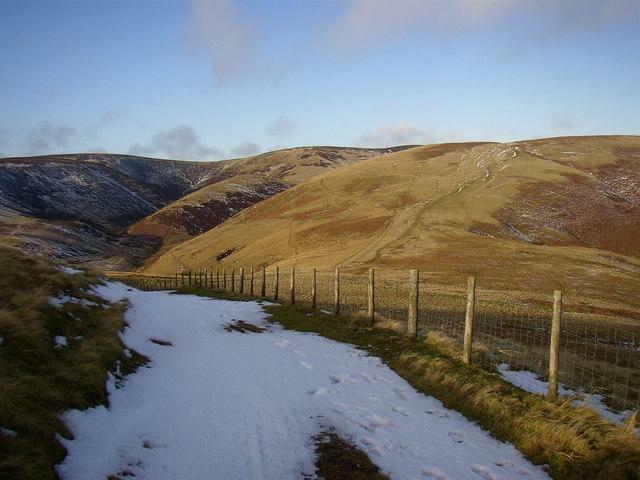 Windy Gyle, Nettlehope Hill, Kidlandlee Dean ( see below ) and Clennell Street. ( Read more. or download ). The short routeis about 16 miles and over 2500 feet of climbing. 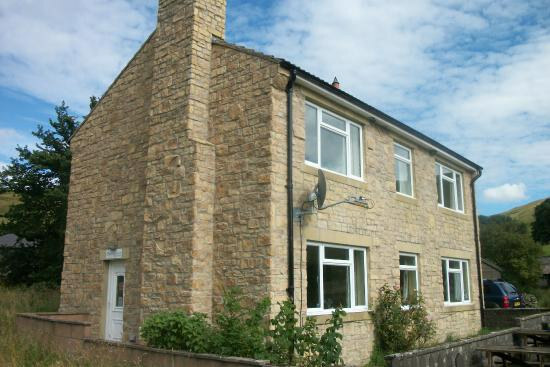 Starting from Alwinton you will visit:- Barrow Law, Nettlehope Hill, Look out for some ruins of Wholehope Youth Hostel ( A short history ). 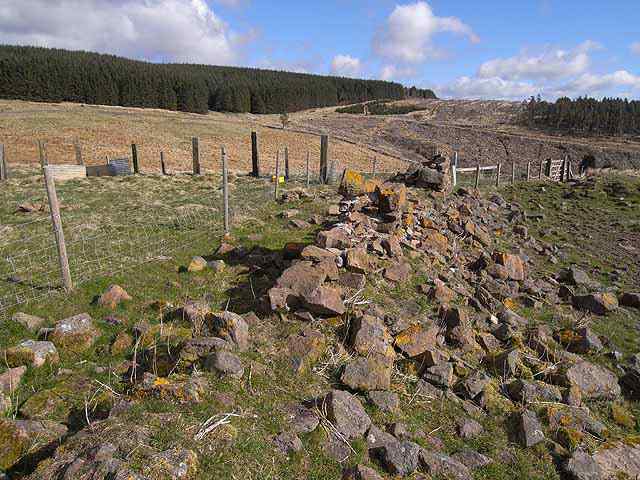 Continue walking through Kidland forrest along the side of Kidlandlee Dean, passing Kidlandlee farm and along Clennell Street. On the day of the event, you will have receive a route card and a photocopied map ( possibly black and white ) giving details of the routes. Once you have received this information you are well advised to spend some time planning on to your own OS map of the area. To view an image of the routes click on it. You will have an enjoyable day, which ever route you select, and at the end will be delighted with your sense of achievement. Why	not	raise some extra funds for the team by being sponsored?